Almost a year ago, I attended the AZ Whole-istic Living Conference. While there, I attended a class about the mood-boosting supplement Q96. It was taught by the husband of Autumn Stringam, a woman who has a remarkable story. After suffering with severe bipolar disorder, being hospitalized multiple times, and being suicidal off and on for many years, Autumn began taking vitamins, minerals, and amino acids put together by her father who was desperate to keep her from her mother’s fate. Autumn’s mother and grandfather had committed suicide after battling bipolar disorder for many years. Autumn’s story gave me hope. She overcame mental illness and went on to empower others. After the class I bought her memoir, A Promise of Hope. At the time, I was myself yearning for a cure. I had stopped taking my anti-depressants after a long and slow wean, and I wanted to believe that I could be cured of my anxiety and depression, like Autumn had. 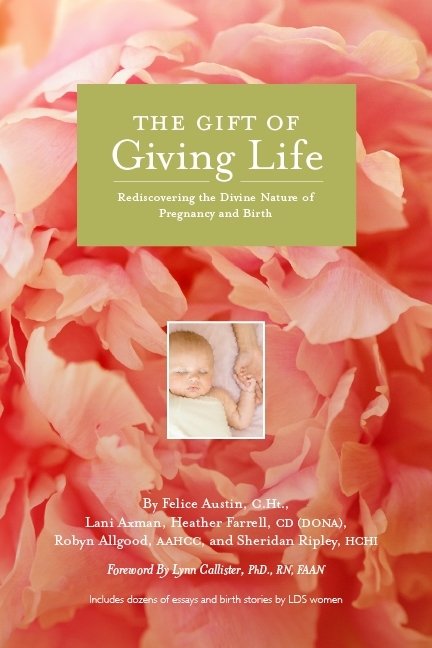 I wanted to prepare my body to give life to the unborn son I had felt and “seen” often over the past several years. But over the next few weeks, I slipped back into a frighteningly dark place. My anxiety came back with a vengeance. I am angry. Angry at God, angry at life. I want to end this so desperately. Send lightning, send fire. Just end this for me. End it. . . . He hath sent me to bind up the brokenhearted, to proclaim liberty to the captives. . . . to give unto them beauty for ashes . . . ; that they may be called trees of righteousness. . . . I know I am still seated on the couch because I can look down and see the top of my head. But . . .
Not my own cropped, stubby dark hair. No, now my hair is long, hanging down my back, brushing across the tops of my shoulder blades. I am thin and beautiful, the way I used to be. I stand up, and I am standing tall, the way I used to, before I started hunching over. Just for a minute then. Oh. Her body feels so good to me. This body is different from the one in the mirror. Different from the one in the shower stall. Strong, tight, confident, intelligent, sane, joyful, and abundantly blessed. I can feel all of these things. . . . And . . . oh! I look down beside me and see a pretty little girl with blonde straight hair and wide eyes standing by my feet. She is looking into my face lovingly. She is not even a surprise to me. “I know you,” I say to her, and I can see that she knows me as only a daughter can. “You’re mine. My own little girl.” . . . She looks like me. Oh, please, please, can she be mine? More a reality than any delusion I’ve ever had. More a reality than one of my hallucinations. More than a vision. More than a joy. This was a promise. From God. And God wouldn’t lie, doesn’t lie, never lies. Somehow I have to live. To see the promise. To live the promise (p. 146-148). Autumn went on to become whole and happy, having three more children, including the little girl she saw in this powerful moment of truth. Though unaware that I had months of darkness ahead of me, as I read Autumn’s story that night, I remembered promises God had made to me, and I felt just enough hope to keep going another day. I felt hope that maybe I would someday be well enough to meet the child God had shown to me. Autumn’s story was a powerful help to me at a very dark time of my life. Others shared more stories as I navigated the painful road I traveled last year. They told me of their own battles with darkness as the light of joy shined from their whole and reborn eyes. They got through it. Maybe I could too. I am feeling stable and happy most of the time now, for which I (and my family and friends) are deeply grateful. Stories can save lives. Stories saved my life. Do you have a story that could save someone else’s? I am working on a new book called Towers of Strength: Stories of Triumph Over Darkness. It is named after Mary Magdalene, the original “tower of strength.” Read more about her name and her story HERE. As far as I’m aware, there are only a few Mormon-audience books discussing mental health, and none of them (as far as I could tell) is written from the perspective of the “mentally ill.” Mental health practitioners and caregivers certainly have valuable insights and perspectives to share, but I feel strongly that we need to give a voice to the ones living in the trenches. Our voices need to be heard. It’s time. Spiritual thoughts and stories about mental health from the perspective of Latter-day Saints, emphasis on stories of triumph. Keep in mind that triumphing doesn’t have to mean you’re “all better;” it means you’re still here. Written by those who have lived with or overcome mental illness. What is the back-story? Family history of mental health challenges? Tell about your “rock bottom” moment(s). Tell about the tender mercies or miracles you experienced. How is your mental health now? Please send me your story submissions at laniaxman at gmail dot com. And please spread the word on whatever groups, forums, and facebook pages you feel might generate interest. I have only received one submission so far, and I’m hoping for many, many more. I will be sending you my story i an a friend of Sheridan Ripley. The email address is kind of funny above. Please send me the best email. I have an interesting story about how I became involved in Qsciences,with the Lords help. Thank you for all you are doing to change peoples lives. I SO appreciate that you are doing this. Now that I (think) I’m doing having children I am sharing my story. I’ve experienced all manner of perinatal mood disorders. I have enough to write a book, or two on. About how long/how many words roughly are you wanting the stories to be. Once I have an idea I’ll tailor my story and submit it. Tammy Graham, joyful mama of 6! I don’t have a specific length I’m looking for. Maybe one to four pages, single-spaced? I may end up condensing the story later, but just share what you feel inspired to share and don’t worry about length so much!